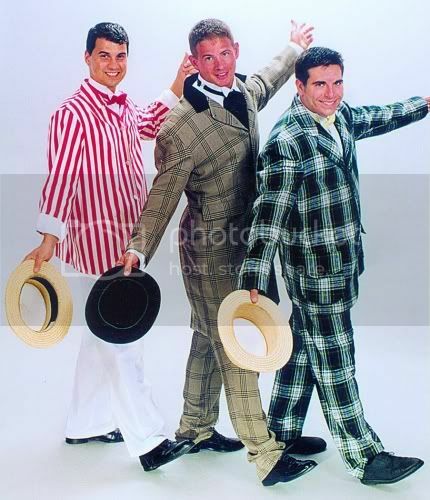 Examples of Suits for Leads and Chorus from "Music Man"
Since its premiere in 1957, â€œThe Music Manâ€ has been delighting audiences on and off Broadway. This musical is great for cast of all shape and sizes, featuring several womenâ€™s roles, song and dance numbers, a barbershop quartet and opportunities for young actors. â€œThe Music Manâ€ is also a family friendly musical which is perfect for community theaters and younger audiences. He gets more than he bargained for with the skeptic Mayor Shinn, scheming rival salesman Charlie Cowell and the hard nosed librarian Marion Paroo. Can Harold Hill bring harmony to River City and find love at the same time? 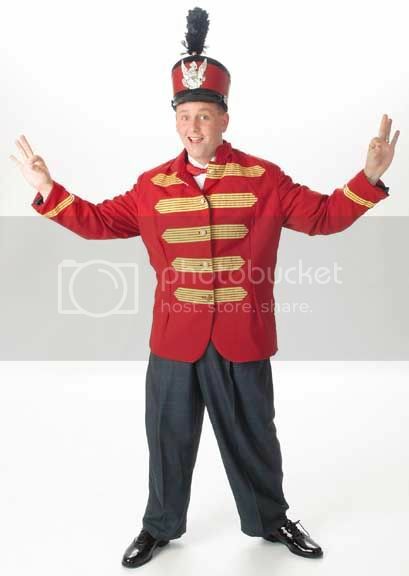 â€œThe Music Manâ€ is one of our top three popular shows that we costumes for schools during the spring and fall. 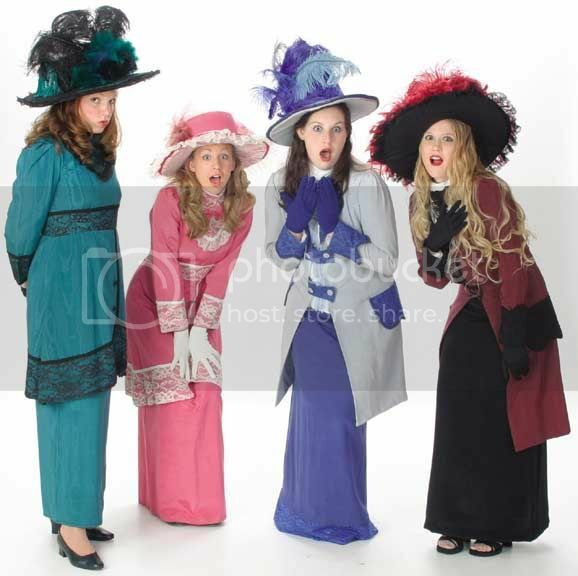 We carry a wide and colorful variety of period suits and dresses for leads and chorus members. We also have available Haroldâ€™s reversible band uniform and band uniforms and hat. Be sure to book your order early for your production of â€œThe Music Manâ€!